Q: Why would you buy unformatted disks for use with Trace/Other Disk Duplicators? 1.) QUALITY – 99% of the product being sold as formatted is low quality media. Disk manufacturer’s use disk certifiers to sort the disks by Grades. Typically the lowest graded media would be formatted and put into 10 pack retail boxes and sold to end users. These disks will work fine in a target PC but they don’t work well on a Trace High Speed Disk Duplicator because the Trace equipment measures the recorded Amplitude while duplicating. Low quality disks have low amplitude and thus many disks will fail on a Trace system with Dropout Error (Amplitude). 2.) QUALITY – Overwriting a recorded (formatted) disk results in a disk that has lower Amplitude and lower Window Margins which makes the disk harder to read. This is especially true when your Target Machine has an older drive that has dirty heads, heads that are out-of-alignment, or electrical issues. 3.) QUALITY – Trace duplicators format and write in one revolution of the disk. Therefore, there is no speed advantage to using Pre-formatted disks. Q: How are the disks packaged? A: Packs of 50/Cases of 500. This makes the disk handling very easy vs. having to open retail 10 pack boxes. Q: How is AWP able to offer lower pricing on these disks? A: We have been selling and servicing Trace Duplicators since 1989 and occasionally a customer will discontinue use of 3.5″ Floppy Disks and we will buy their inventory. In many cases this is older stock, which is normally much better quality than the disks that were manufactured recently as most of the disk manufactured today are not certified. 3.5″ DS/HD 1.44Mb Black Disks – Duplication Grade Unformatted & Degaussed. Packs of 50/Case 500. 3.5″ DS/HD 1.44MB Medium Grey Disks – Duplication Grade Unformatted & Degaussed. Packs of 50/Case 500. Price=Call or Email 3.5″ DS/HD 1.44Mb Dark Grey Disks (No Tab) – Duplication Grade Unformatted and Degaussed. Packs of 50/Case 500. Price=Call or Email 3.5″ DS/HD 1.44Mb Yellow Disks – Duplication Grade Unformatted and Degaussed. Packs of 50/Case 500. 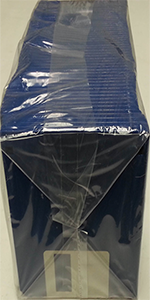 3.5″ DS/HD 1.44Mb Blue Disks – Duplication Grade Unformatted and Degaussed. Packs of 50/Case 500. 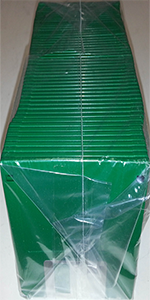 Price=Call or Email 3.5″ DS/HD 1.44Mb Green Disks – Duplication Grade Unformatted and Degaussed. Packs of 50/Case 500. Price=Call or Email 3.5″ DS/HD 1.44MB Medium Grey NO TAB – Duplication Grade Unformatted & Degaussed. Packs of 50/Case 500. Price=Call or Email 3.5″ DS/ED 2.88Mb Black Disks – Duplication Grade Unformatted and Degaussed. Packs of 50/Case 500.